NOT ONLY SHOULD WE LEAVE A BETTER WORLD FOR OUR CHILDREN, WE SHOULD LEAVE BETTER CHILDREN FOR OUR WORLD. 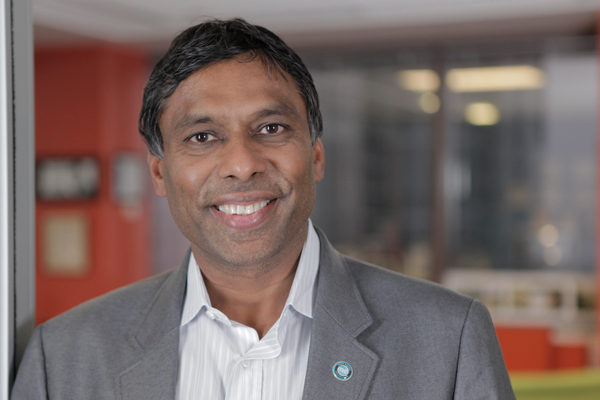 Naveen Jain founded the World Innovation Institute with the simple belief that entrepreneurship and creativity can solve the world’s most pressing and complex challenges. A philanthropist and technology pioneer, Jain is the Chairman and founder of Moon Express, the founder of inome, Intelius, TalentWise and InfoSpace. Together, his experiences tell the story of a man who, with hard work, creativity, and “a little luck and good timing,” became a multi- award-winning top entrepreneur whose passion lies in creating successful business ventures for the good of all. Jain is a trustee of the board at the X PRIZE Foundation, a director of the board of Singularity University, and serves as a director on the board of several startup companies. His awards and honors range from the “Albert Einstein Technology Medal” to being named one of the “Six People Who Will Change the Internet” to leading a business that earned a place on the Puget Sound Business Journal’s “Top Three Best Workplaces” list. Jain’s wife and children share his commitment to improving the lives of others through philanthropic activities centered around innovation, education, and positive youth development.